Here are some vintage and some new images of the world using Postcards. The North Carolina Outer Banks are not only a source of price and beauty, but also a part of American history. 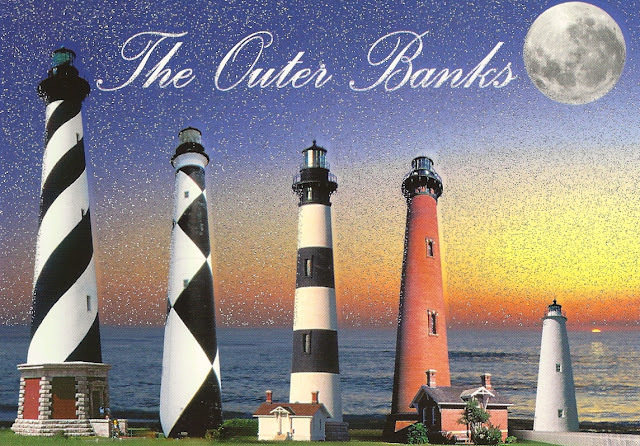 These historical lighthouses continue to play a major role in the history of the Outer Banks. The sky is covered in glitter!